I always liked John Stuart Mill’s utilitarian views on justice to provide the greatest happiness for the greatest number of people, within reason. Go to your local state courthouse. Spend one hour watching the case management conference calendar. 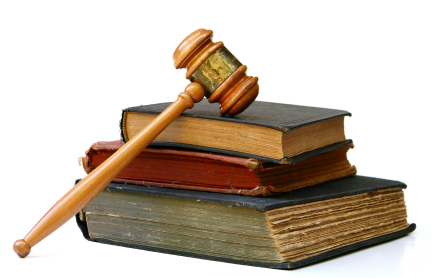 93% of litigation in the United States is in state courts, not the Federal (CEIC Judicial Panel, 2010). According to the ABA, there were a total of 1,143,358 lawyers in the United States in 2007. There is other data that shows 75-80% of lawyers practice in firms with 20 attorneys or less (estimated 857,519 lawyers with 2007 numbers). My concern for our industry is that products are being developed only for those in the top 7% of litigation in Federal Court. Cost of two litigation software licenses: Capital Expense of $5,000. To be blunt, most “normal” litigants simply cannot afford another $760 a month in legal fees for data hosting. Access to the Courts is not limited to Fortune 100 companies. The leaders in software solutions for law firms are CT Summation (now Access Data Group), Lexis Nexus Concordance and Caselogistx. These products have set the gold standard for litigation support software. Many other programs now exist. Despite these great products on the market, there is a need for a very basic discovery management tool that would just be for depositions and ESI/documents. It would help even more if a new product or existing ones could be available as an “elements” or “light” edition at office supply stores for less than $500. The profit on such a product would be significant even if only 100,000 of the estimated 857,519 attorneys in small firms purchased such a commercially available product. As these small firms get larger cases, the full product version or hosting models become economically sustainable for these attorneys. Market solutions are coming out designed to drive down e-Discovery costs. Guidance Software with their EnCase Portable device and PinPoint Labs with OneTouch provide cost-effective solutions for keeping collection costs under control. These devices can be prepared by an expert for self-executing collection. The client only needs to plug the device into the USB port and follow the instructions. Other forensic companies such as Microforensics Titan and Paraben Corporation also have cost controlling tools for defensibily collecting electronically stored information. We support a professional that helps those in legal need. To provide a “greatest happiness principle” to help those attorneys do justice, the profession needs cost-effective solutions. The failure to meet this market need is justice for none. Good idea’s. I think as time goes on and people learn that lawyers will pay good money for a bit of programming that saves them time on this the solution will present itself. Agreed. See also Craig Ball’s EDna Challenge. I know I’ve mentioned it before on your blog, but how about BitFlare? It is an a la carte solution for producing ESI- the CD is free, there are some discovery tools built in, and users pay to have the relevant data extracted on a per-machine basis. No dongles, no charge for machines without relevant data, download the ISO at no charge from the website, does not alter anything on the hard drive, can be safely run by IT staff, verifiable by a third party, and a low pricepoint.. It doesn’t help you manage ESI in the way hosting platforms do post collection, but since you mentioned EnCase Portable/OneTouch I thought I’d chime in! Sorry, meant to add this for those interested..to give you an idea of BitFlare’s costs when you DO want to produce..